Courtesy of George James Realty, George James. Home and metal building on 14.195 acres. Home is well maintained and open with imitation wood floors and very high ceiling. Granite and updated showers in both baths. Large pecan trees, gazebo and pool. Building is 40×60 with 3 overhead doors, two are 14ft high one is 10ft high, has kithen, bedroom, full bath, washer and dryer hookup as we as a shop area and RV hookup. Prime commercial area. 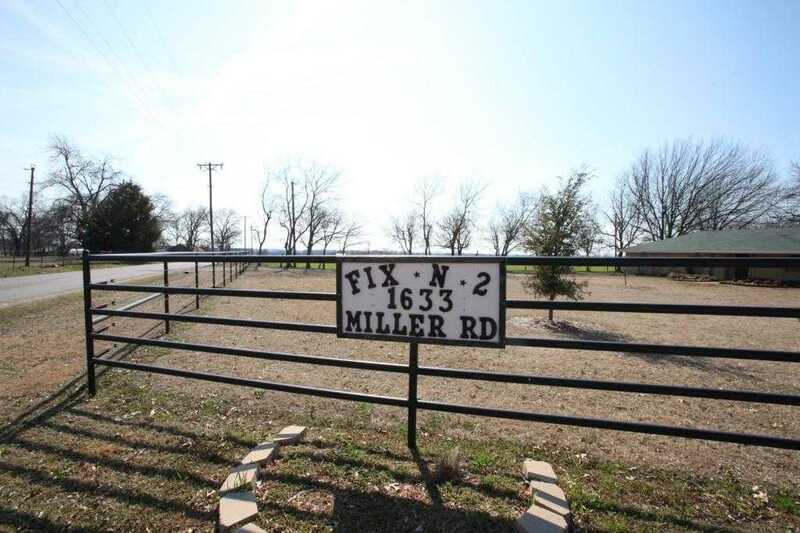 Please, send me more information on this property: MLS# 13100348 – $1,649,000 – 1633 Miller Road, Melissa, TX 75454. I would like to schedule a showing appointment for this property: MLS# 13100348 – $1,649,000 – 1633 Miller Road, Melissa, TX 75454.